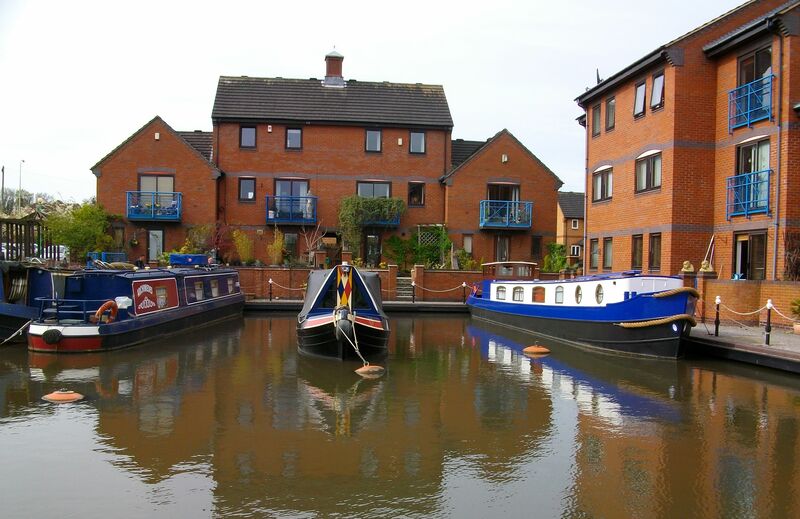 Fazeley Wharf is a pleasant off-line basin situated just off the Coventry Canal in Warwickshire. Fazeley village offers a small selection of shops and take away restaurants. Tamworth town centre is a mile away and has a wide range of shops, banks, post office and local amenities. The site has a range of facilities and can accommodate up to 4 vessels over 14m in length. To reach the site from the direction of Fazeley village, take the B5404 towards the A5 and Lichfield. After crossing the canal bridge, look for Evans Croft, approximately a quarter of a mile from the village traffic island, on the right. 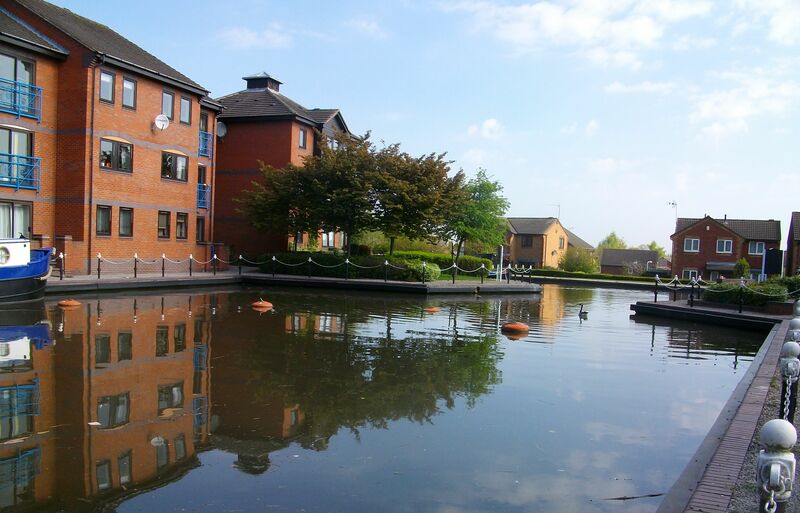 Turn into Evans Croft and the moorings are next to the Canal & River Trust main office building. Public transport is available with main bus and rail stations within the town centre. Facilities can be found in the service area on the main line of the canal, at the entrance to the site. Car parking is not available at this site. 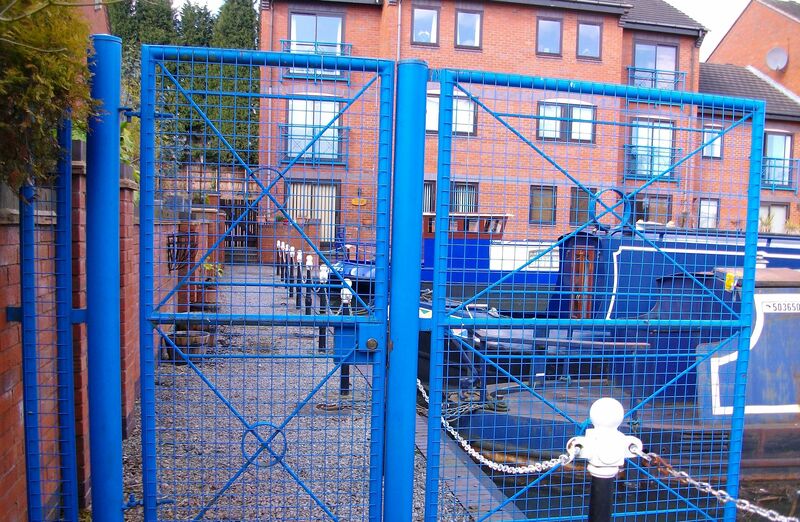 The adjacent Canal & River Trust office car park can be used for dropping off purposes but on weekends only. The site is protected by fencing and a padlocked gate. 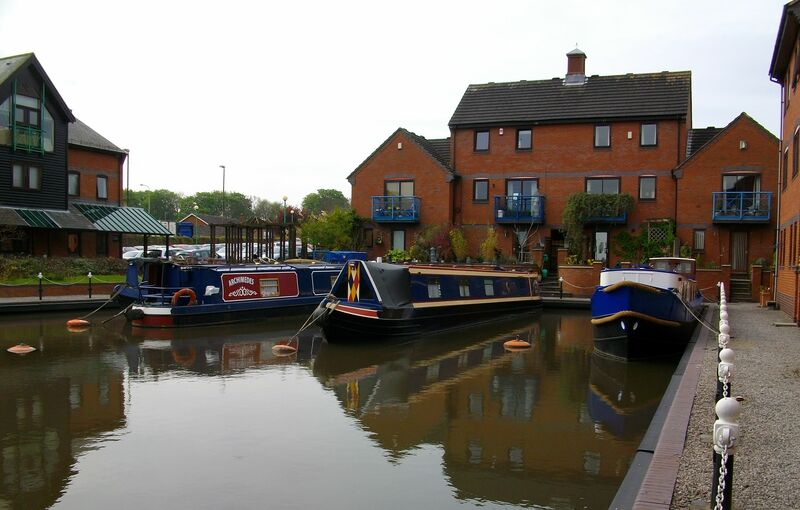 The moorings are adjacent to residential properties. Keys are available to berth holders only for a refundable deposit of 50 pounds. Deposits will be refunded when keys are returned with a valid receipt. IMPORTANT NOTES: Some moorings in the Basin can only be moored 'Stern In' as the bow of the boat is secured to a buoy anchored in the water. Please see the photographs and consult the Mooring Manager for further information if required. This mooring can be viewed from the adjacent footpath. Please contact the Moorings Manager for an appointment if you wish to gain full access to the site.